If you bought more multiple performances what would they be? This is not primarily for Lance or Chalkie or a number of our other posters who already own many performances of much or most of the music that interests them. It is more for people like me who have limited collections, would not necessarily own many versions of every interesting (to the individual, that is) work even if they were wealthy, but realize that there are some compositions that need to be represented by multiple performances in a serious collection that is not necessarily the one we have. Of course, as always, you don't have to fit my description to contribute to the discussion. I do own multiple versions of the organ works of Bach (though not every available one). It is as much for the sound of the organs as for the different performances, maybe more so. By the same token, if I could afford it, I would own multiple versions of a number of operas, since opera is even more dependent than other forms both on interpretation and the sound of the specific forces. I probably have more, but--your turn. Well, I´m one of those who own a lot of versions and just can´t stop. I don´t think you have to justify yourself for this compulsory conduct, it´s self-explanatory. If you listen to Maria Callas singing Tosca you will get a completely different experience from Zinka Milanov´s version. Both are great, just different. And can you imagine a more different Eroica than Furtwängler´s from Frans Brúggen´s? You just have to have them both because they tell different stories and reach different conclusions. They enlighten your understanding of the work, especially if you are not a professional musician. I own some 30+ recordings of Cosi fan Tutte and I love them all. Why? Because of the most gorgeous sopranos the world has known: Lisa della Casa, Lella Cuberli, Leontyne Price, Margaret Price, Irmgard Seefried, Gundula Janowitz, Veronique Gens, etc. Icouldn´t possibly live without them. I'm one of those who have a small collection and who is quite happy with one performance of most pieces. In fact, sometimes I don't understand those who collect several copies of the same pieces considering that the differences between some performances are quite minimal (in my own little experience). That being said, there is nothing wrong with owing more and I intent to do that more in the future. Specially for composers that I like a lot. For example, I only have 2 full cycles of Brucker's symphonies but would like to own 1 or 2 more (Baremboim CSO/DG for exemple or Baremboim Berlin Philarmonic/DG). Two full cycles of Sibelius' symphonies but would like to own 2 more (Colin Davis/LSO and Vanska/Lahti Symphony orchestra). Most piano pieces by Debussy by 3 pianists (Thiollier/Naxos, Roger/Decca and Haas/Philips) and would definitively like to collect more of them. I have my eyes on the set by Alain Planes on Harmonia Mundi. Anyone know about his recordings of Debussy's piano music ? Would you recommend them ? Please don't mention to me the recordings of Gieseking. I am so getting tired to read that anything but his recordings are worth it for Debussy's music. For very similar reasons to those given by Jose, I am a big fan of obtaining multiple versions of favoured works. ravel30 wrote: I'm one of those who have a small collection and who is quite happy with one performance of most pieces. In fact, sometimes I don't understand those who collect several copies of the same pieces considering that the differences between some performances are quite minimal (in my own little experience). That being said, there is nothing wrong with owing more and I intent to do that more in the future. Specially for composers that I like a lot. I once heard Alain Planés playing Schubert in France, and quite frankly, I didn´t like him a bit. I think he must be kind of popular in France, that´s why he records for HM. I haven´t heard his Debussy recordings, but I hope he does better than in Schubert. You may like to sample the Debussy of Michelangeli, Zimerman and Aimard. Michelangeli's Images are suberb. Can't say the same about his Preludes. Chopin: Preludes, Nocturnes, Sonatas, and quite possibly everything else. Liszt-: Harmonies poétiques et religieuses and the Transcendental Etudes. Beethoven: Piano Sonatas. Symphony cycle-currently have 2. Fidelio. Overtures. String Quartets. Bruckner: Symphony cycle-currently have 2. The Masses. Mahler: Symphony cycle-currently have 2. Orchestral songs. Haydn: Symphony cycle. String Quartets. Creation and the Seasons. Quite partial to the Fricsay Fidelio myself, although Klemperer shades it slightly. I collect multiple performances for a variety of reasons: trying to find the one perfect version (bought 6 or 7 Schubert piano trio Op. 100 before finding the Serkin-Busch-Busch); finding the measure of a performer (Bach's Cello Suites for Cellists, Beethoven and Brahm's violin concertos for fiddlers etc - my own selection for the measure, of course); or just enjoying different interpretations of pieces I find delightful, like Beethoven's violin sonatas or Schubert lieder. Last edited by Brendan on Sat Mar 20, 2010 5:10 pm, edited 1 time in total. Hello, Matt. I like Planès's Debussy Préludes very much. Haven't heard any other by him. I also like the new Steven Osborne. Michelangeli is fine. I've been tempted by the new Rogé Préludes on Onyx. I'd like to get more late Haydn symphonies, HIP period instrument, wish the big Brüggen box were still in print. I'm still collecting more Bach solo keyboard recordings on piano. Otherwise I'm pretty full up and don't really hunger for more recordings of best-loved works. Wish the Hagens had a complete LvB cycle. Generally speaking, one or two, or maybe three recordings of an opera are enough for me. My collection is relatively low on opera. The Solti Ring is the only Ring cycle I have, though I do own the Leinsdorf and Furtwangler studio Die Walkures. I've been thinking of getting the 1955 Kielberth cycle. I don't think I have more than 1 recording of anything by Verdi or Puccini--except for a few, like Madame Butterfly, where different versions were recorded by Callas as Butterfly and Bjorling as Pinkerton. All my duplications of Verdi or Puccini operas are occasioned by the fact that Callas and Bjorling never recorded together, and they are my two favorite artists in this repertoire. Until fairly recently, I wasn't that interested in solo piano music, either, and tended to limit duplication. Still do, to some extent, but I have 7 CD sets of the Beethoven piano sonatas + Schnabel on Seraphim LPs. I have to say that Annie Fischer does it all for me, though. I have been agitating for a new integral cycle of the Schumann solo paino music to celebrate his bi-centennial, and I have my nose a little out of joint about the fact that people have been turning cartwheels over the Chopin bicentennial, but paying very little attention to Schumann's, even though Schumann is, to me, a far greater composer. Well, someone at Brilliant has apparently heard my plea, or had the same thought, and I find that Klara Wurtz, a fine, worthy young Hungarian pianist, now has a 13 CD Schumann solo piano music cycle out. Its on my wants list. I also have 6-7 cycles of Mozart piano sonatas, and two of Haydn's--three if you count Artur Balsam's on MHS LPs. But, other than that, not much solo piano duplication. I have only the Katchen set of the Brahms solo piano works and 6-7 individual CDs by other artists, for example, and not much interest in getting more. And I'm not much on Early Music, either, which I define as before Buxtehude, Charpentier, and Purcell, three composers I like a lot. Biber interests me, as do Tallis and Byrd. I am starting to get interested in Monteverdi a bit, but other than that, not much. No, my multiple sets are mostly orchestral and chamber music from the Baroque, Classical, and Romantic eras and the 20th century. I have about 20 Beethoven symphony sets, about 16 of Mahlers, 3 of Dvorak's, 5 of Prokofiev's and Shostakovich's, 2 of the Dvorak string quartets (Prague and Panocha). Once, I became conscious of the fact that I only had about 4 or 5 recordings of Stravinsky's Rite of Spring, and ordered about 15 more in one fell swoop. I have 9 or 10 sets of the Shostakovich string quartets, probably about 15 or more of the piano quintet, two complete sets of the Haydn symphonies (Dorati and Davies) as well as many other recordings of Haydn symphonies by Szell, Woldike (on LP), Klemperer, kuijken, Bohm, Jochum, and others. And many one of a kind issues, like a set of 4 posthumously published chamber works by Max Bruch on cpo, the complete Honegger chamber music, the Arthur Foote chamber series on Naxos, the 6 Stenhammar string quartets, the complete symphonies of Allan Pettersson, Ferdinand Ries, Edmund Rubbra (the last 3 of the 11 are excellent, the others less so), Charles Villiers Stanford, and Sir Charles Hubert Hastings Parry. I wish someone would do a Franz Lachner project. Life is a continuous adventure. I look forward to new discoveries, and new performances of old ones. Thank you so much for your comment about Planes' Preludes. They are available for $5.99 on itunes and I have been tempted more than once to purchase them. Between someone who finds Debussy's music in general to be so so and someone who actually like this regarding... I think it is clear about who I should listen to . I never thanked you directly for your long and very interesting comment that you wrote on a thread that I started a few months ago concerning Sibelius' symphony cycle. A very interesting question indeed. I would like to get the Bruggen Haydn collection, so far it is proving very difficult indeed and after that the Brendel/Beethoven piano sonatas. I also have my heart set on completing my Solti, Zander and Chailly Mahler symphony collections and after that the Gielen and MTT Mahler sets. That's about all for now, modest enough though don't you think? Well, Matt, FWIW I love Debussy's solo piano works, especially the Préludes, second only to Beethoven's sonatas and Bach's solo keyboard works. Another nice choice and popular recommendation is Paul Jacobs's recording, available these days for $10 or less new from several Amazon sellers. Although for the past year or so I've turned most often to the newest one in my collection, Osborne, Planès may be my favorite overall: his playing is thoughtful and sensitive yet direct and--dare I say it?--satisfyingly masculine, not fussy or melodramatic or dreamy but straightforward, rooted in the earth, not the clouds...and the resonant sound of his period Bechstein is wonderfully suited to these works, at least in my opinion. The Klemperer one is partially the reason itself that I want another. I have the Bohme version and while I like it, I hear that Klemperer is quite good. The only complete Debussy set I have is by Martin Jones on Nimbus. The Gieseking set is highly spoken of, but I chose the Jones box as it was cheaper, had 1 more disc, and it includes the piano scores of the ballets. ravel30 wrote: Between someone who finds Debussy's music in general to be so so and someone who actually like this regarding... I think it is clear about who I should listen to . There is no question among piano aficianados where the piano music of Debussy is concerned: WALTER GIESEKING continues to reign supreme in any of the recordings he made during his lifetime. Debussy and Gieseking go hand-in-hand. Gieseking was an absolute master of French impressionistic music and I also find his Ravel recordings to be at the top. Robert Casadesus was also a master of Debussy and Ravel. 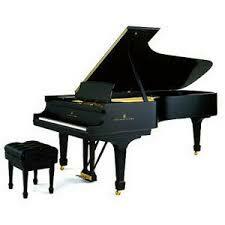 There are a few more contemporary pianists who excel in this music as well. At the moment, I cannot think of any performance of which I would like to have multiple copies more than I already have. I do have one COMPOSER whose music I would probably acquire with any performer and that is Charles Valentin Alkan. ravel30 wrote: In fact, sometimes I don't understand those who collect several copies of the same pieces considering that the differences between some performances are quite minimal (in my own little experience). Well, after a while you get curious about how others perform favored works. And you can't have too much of a good thing. Like Liberace says, "Too much of a good thing is simply WONDERFUL!" What I'm most likely to get multiples of is medieval music because every group does it differently. I have quite a few Carmina Buranas (original) and Las Cantigas Santa Maria. If you want to see what I mean without sampling a bunch of things, pick up a couple of recordings of Monteverdi's Vespers of 1610. No two exactly alike. Please don't mention to me the recordings of Gieseking. I am so getting tired to read that anything but his recordings are worth it for Debussy's music. I'm confused. Have you heard him and don't like him? Or are you saying you won't listen to him because too many people describe him as the standard? Which David are you speaking of? Felicien? I have two Klemperer recordings of Fidelio plus the Furtwangler studio version. I treasure them all. I did listen to him and I did enjoy him. Those are wonderful performances I would admit. However, for so many people here it is like there is him and then there are the others. I think that it is a bit of an overstatement however nice he is. Brendan wrote: Quite partial to the Fricsay Fidelio myself, although Klemperer shades it slightly. I much prefer Fricsay to Klemperer in Fidelio, especially for Rysanek, a true soprano, always preferable to a mezzo as Leonore (Ludwig). In fact much better than the EMI recording is the live Testament Klemperer with Sena Jurinac as Leonore, what a pity she was not used in the studio. Bavouzet's Debussy is ravishing: every note is a wonder. Gieseking is, of course my touchstone, but Bavouzet's modern sound and freshness make him a standout for me. Shostakovich's symphonies are best represented by Kondrashin's Melodiya cycle, supplemented by individual performances by Ormandy (too bad he recorded only selected symphonies). Lance wrote: There is no question among piano aficianados where the piano music of Debussy is concerned: WALTER GIESEKING continues to reign supreme in any of the recordings he made during his lifetime. Debussy and Gieseking go hand-in-hand. Gieseking was an absolute master of French impressionistic music and I also find his Ravel recordings to be at the top. Robert Casadesus was also a master of Debussy and Ravel. There are a few more contemporary pianists who excel in this music as well. Thanks for suggestion. It certainly seems that if I were to obtain another Debussy box that Gieseking would be the recommended one. Corlyss_D wrote: I'm confused. Have you heard him and don't like him? Or are you saying you won't listen to him because too many people describe him as the standard? I agree, Matt. Without speculating about the reasons for this phenomenon, I think we can all agree that there is a category of record collectors who claim that certain "Golden Age" performers or recordings set a standard which no subsequent ones can match. To me it seems very clubby, as if agreeing that Gieseking is the paragon in Debussy, for instance, were the secret handshake that shows you're "in the know," a member of the select. If they believe that about Gieseking, or Schnabel, or Walter, or Toscanini, or whomever, that is their business and they are entitled to believe as they wish. I wish, however, that fewer such folks felt compelled to look down their noses at others who don't share their beliefs. Such sneering is daunting to newcomers and others who lack the confidence to develop their own tastes. It also perpetuates the stereotype of classical music lovers as snobs. On the other hand, for those starting out there is considerable virtue in familiarizing themselves with the repertoire through recordings that have stood the test of time. And that, of course, describes the concern guiding the "Golden Age" recommendations of every contributor to GMG, none of whom would ever conduct themselves in the snooty manner described above. Ravel and DavidRoss. They were both discussing Debussy. Guess I could have been more specific. Oops. I don't know about the Gieseking Debussy; I've never hear it, and Debussy is not one of my favorite composers, anyway. I do think his recordings of the Mozart solo piano music are the preferred editions, for its attention to structure and the long line. For certain felicities of phrasing, I would urge people to check out Alicia de Larrocha in the sonatas, but no one else, IMO, compares to Gieseking in that repertoire. There are a few other Golden Age recordings I like a lot: Richard Strauss's recording of the last two Mozart symphonies from the 20's, the 1938 Bruno Walter Mahler 9 with the Vienna Phil, Frits Busch Mozart operas from the Glyndebourne Festival in the 1930's, as well as a whole raft of wartime Furtwangler Beethoven performances. But generally, I agree with you. I really don't know what the shouting is about over Artur Schnabel, for example. I understand that many are grateful to him for introducing them to the Beethoven piano sonatas, and that, for a long time, his was the only complete set available. But, IMO, Annie Fischer has him beat five ways from Sunday in this repertoire. Well, as for soneone of my limited means, I'd be acquiring more complete sets (Beethoven sonatas & symphonies, Bach's WTC, anything of Grieg, Brahms symphonies & solo piano works); the way things stand now, I've just left behind two Beethoven symphony sets (Karajan 2 & Steinberg). But I'll still always listen to any performanmce of certain French orchestral showpieces: The Sorcerer's Apprentice, Bolero, Danse macabre, and Symphonie fantastique. My brother gave me the Levine / Heppner / Mattila DVD at Christmas. I like it a great deal ... the staging is quite good also, and the orchestra has made me a fan of Levine; I would buy more opera DVDs with his imprimatur. ravel30 wrote: However, for so many people here it is like there is him and then there are the others. Nobody has mentioned either Lieder or French art song yet. I have varied artists among the CDs that I have, but extremely limited parallel performances. Part of the problem, of course, is that for much of the repertory it is hard to find expansive (I would not necessarily say comprehensive) collections so that one can really have multiple performances of the same song (except of course for the most famous cycles and some individual songs). But that aside, I have far fewer recordings in this area than my level of interest would indicate (rather embarrassingly so, in fact), and I can see undertaking a serious effort to enrich my collection. jbuck919 wrote: Nobody has mentioned either Lieder or French art song yet. I have varied artists among the CDs that I have, but extremely limited parallel performances. Part of the problem, of course, is that for much of the repertory it is hard to find expansive (I would not necessarily say comprehensive) collections so that one can really have multiple performances of the same song (except of course for the most famous cycles and some individual songs). But that aside, I have far fewer recordings in this area than my level of interest would indicate (rather embarrassingly so, in fact), and I can see undertaking a serious effort to enrich my collection. It´s good to have alternative versions of things like Schubert´s Die Schöne Müllerin. You get different rewards from versions as different as Fritz Wunderlich´s, Aksel Shiötz´ and Dietrich Fischer-Dieskau´s. In Schumann´s Diechterliebe you may have versions sung by tenors, baritones, countertenors, mezzos and sopranos. And who could resist Dietrich Fischer-Dieskau accompanied by pianists as diverse as Gerald Moore, Alfred Brendel and Vladimir Horowitz (in the Carnegie Hall 100th Anniversary Concert CBS). josé echenique wrote: It´s good to have alternative versions of things like Schubert´s Die Schöne Müllerin. You get different rewards from versions as different as Fritz Wunderlich´s, Aksel Shiötz´ and Dietrich Fischer-Dieskau´s. In Schumann´s Diechterliebe you may have versions sung by tenors, baritones, countertenors, mezzos and sopranos. And who could resist Dietrich Fischer-Dieskau accompanied by pianists as diverse as Gerald Moore, Alfred Brendel and Vladimir Horowitz (in the Carnegie Hall 100th Anniversary Concert CBS). I am intrigued that a countertenor has recorded Dichterliebe. I'll bet it's Andreas Scholl--guess I'd better go over to Amazon and find out. The one Dichterliebe recording I have with a countertenor is with Paul Esswood and Nicholas McGegan in the pianoforte. It´s an early 1980´s recording in Hungaroton. You may remember Esswood as Harnoncourt´s favourite countertenor. He recorded the alto parts in Harnoncourt´s Bach cantatas cycle in Teldec. This Dichterliebe recording is obviously kind of different, but it´s a very able and musical performance, no freak show at all. Chopin's Ballade no.1, op.23 - I've already got (some are individual track downloads) ; Argerich, Perlemuter, Slenczyna, Zimerman, Kissin, Licad, Tiberghien, Vasary, Michelangeli ... and I like aspects of every recording! I just can't get enough of this wonderfullly uplifting piece! In an ideal world, I'd have every single Beethoven cycle ever recorded. Schubert's symphonies too, just because of the huge disparity and differences in the different interpretations. Carnivorous Sheep wrote: In an ideal world, I'd have every single Beethoven cycle ever recorded. Me too and all of the Mahler recordings as well. I'm always on the lookout for great performances, and have a devil of a time holding back from purchasing. It's a magnificent obsession. If I had my druthers, I'd have access to all the great recordings digitally. I'm sure that will happen soon, but they're going to have to make it CD quality at least to satisfy my ears. RebLem wrote: Generally speaking, one or two, or maybe three recordings of an opera are enough for me. My collection is relatively low on opera. The Solti Ring is the only Ring cycle I have, though I do own the Leinsdorf and Furtwangler studio Die Walkures. I've been thinking of getting the 1955 Kielberth cycle. I don't think I have more than 1 recording of anything by Verdi or Puccini--except for a few, like Madame Butterfly, where different versions were recorded by Callas as Butterfly and Bjorling as Pinkerton. All my duplications of Verdi or Puccini operas are occasioned by the fact that Callas and Bjorling never recorded together, and they are my two favorite artists in this repertoire. You ordered 15 renditions of Rite of Spring in one fell swoop? I had to chuckle at that one. How long did it take to work through them all and in retrospect was it a worthwhile investment? There are three ways that I have acquired multiple performances of the same piece. 1. Infatuation with a particular performer. So I don't really care that much what they record, I'm along for the ride, and they're not usually taking requests. In this manner, I have acquire many Mozart piano concertos, for example, without really even trying. 2. Infatuation with a particular composer and genre. Beethoven piano sonatas, Schubert piano sonatas, anything by Bach. I think there is a saturation point depending on the composer in question. For example, there is likely no upper limit to performances of JS Bach's music, although my responses to Bach performances are more inconsistent than for any other famous composer. Conversely, at 3 or 4 complete sets, and many more odds and sods, I probably don't need any more Beethoven piano sonatas, unless I acquire more under method (1) above. I've been on a tear the past year buying Haydn's music, and it will take a while just to assimilate everything I have. Then I may buy more, maybe not. I am on the look out for more early music, particularly Monteverdi, Palestrina and Josquin. I'm good on Tallis, Byrd and Purcell, for a while anyway. I'm interested in minor composers, Australian and Scandinavian. I have a backlog of Sibelius and Alfven along with some other items I could listen to more yet. Stenhammar is on the want list. 3. Personal attachment to a particular composition. Here are a few that I'm very fond of. - Finzi's Intimations of Immortality. I have purchased every recording I could find. Both of them. - Vaughan Williams' Dona Nobis Pacem. Ditto Finzi. Except I have 6, I think. - Shostakovich Symphony No. 9. Yes, #9. Still on the lookout for more. - Chopin's Preludes. I bought 6 renditions in one fell swoop, as well as the sheet music. No, I don't play. - Beethoven's Pastorale. The symphonies as a group fall under point 2 and I might have room for a set or two yet. However, I'm especially fond of #6, and I just bought Herreweghe's latest; I will purchase more. Finally, I'd like to acquire more good opera performances on DVD. Why listen when you can watch too .. and have the subtitles right there? maestrob wrote: I'm always on the lookout for great performances, and have a devil of a time holding back from purchasing. It's a magnificent obsession. If you posted this on an audiophile board, a 100 angry dogs with rabies would tear you apart and label you a troll. Your ears can be quite simply tested. All you need is a freeware player foobar2000, which can perform ABX tests and headphones. Obviously, with the same tracks encoded with lossless codecs (like FLAC) and several with various lossy files (MP3s in different VBR modes). You'd be surprised what you can find. I can hear the difference. CDs have more depth, while compressed files lack dynamic range and have an artificial sweetness that I find cloying. For now, I'll stick to .wav files, thanks very much, old curmudgeon that I am! maestrob wrote: I can hear the difference. CDs have more depth, while compressed files lack dynamic range and have an artificial sweetness that I find cloying. For now, I'll stick to .wav files, thanks very much, old curmudgeon that I am! I don't believe you until you ABX! And between FLAC and WAV there is no difference, which is why it's called lossless. P. S. Just feel the need to emphasize that the tone of my previous tone wasn't nasty or anything of the sorts! If I can interject, the term I saw was CD quality. Certainly 320K MP3 are CD quality? The problem with compressed formats is they introduce artifacts, and that depends on the quality of the compressor algorithm as much as the frequency.